Advanced blend of super-smooth rollerball and gel ink = RollerGel Ink. No smear, no smudge, no globs. Quick drying ink formulation is ideal for lefties. Attractive color-tinted barrels with curved clip design match ink color. Comfortable latex-free grip provides extended writing control. 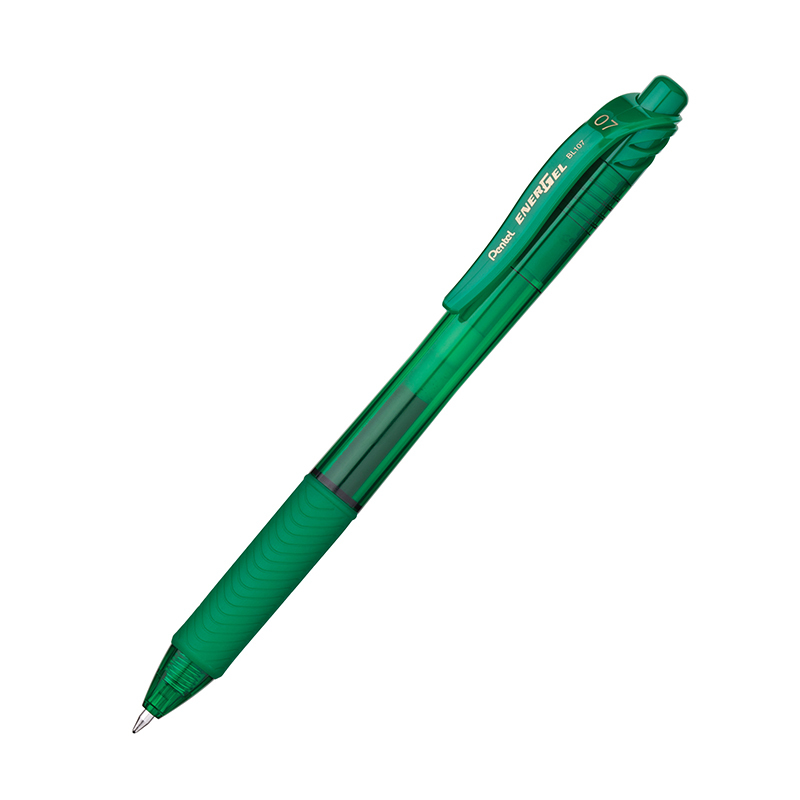 Part of the Pentel Recycology line and made of 84% recycled plastic (excluding consumable content and refills). 0.7mm tip writes medium lines. Refillable.